Violet J. Vogel died Saturday, the 1st of September, 2018 at Hancock Hall Nursing Home, Danbury CT.
She was born in 1920 in Glenwood, Minnesota, daughter of the late Albert E. and Dena J. Skurat. 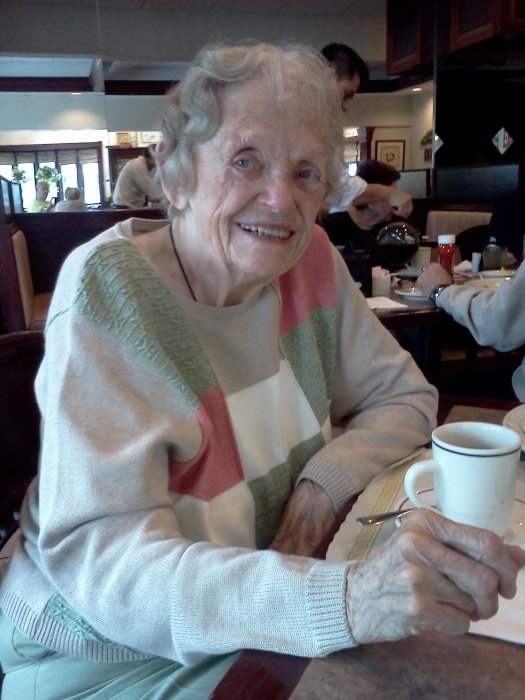 Violet loved good food, socializing, and was known for her wonderful smile that could light up a room. Violet is survived by her son: Erwin A. Vogel (Carol); grandsons: Gregory S. Vogel and Jeffrey W Vogel, and great grandsons: Jacob and Logan. She now goes to join her late husband: Erwin W. Vogel, her parents, and her sister: Delores. Heartfelt appreciation to the nurses, aides, and staff at Hancock Hall for their compassion given to Violet during her stay.